Hong Kong Tourism Board (HKTB) is promoting Lantau, Hong Kong's biggest island, as a one-stop MICE destination. As part of the initiative, HKTB has teamed up with local trade partners to raise awareness of Lantau’s MICE facilities. They include AsiaWorld-Expo Management, Hong Kong Disneyland Resort, Hong Kong International Airport, Discovery Bay - Hong Kong Resort Company and Ngong Ping 360, as well as other attractions, hotels and MICE venues on Lantau. "In selecting a venue for MICE events, many organisers consider not just the venue, but also the ancillary facilities, including hotels and attractions, in the vicinity," said HKTB chairman James Tien. "Lantau Island can cater for different MICE activities with its comprehensive portfolio of venues and attractions, as well as wide-ranging cultural and nature experiences." 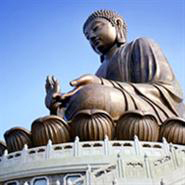 A total of 42 meetings and exhibitions have been confirmed to take place on Lantau Island from October 2011 through to 2013.